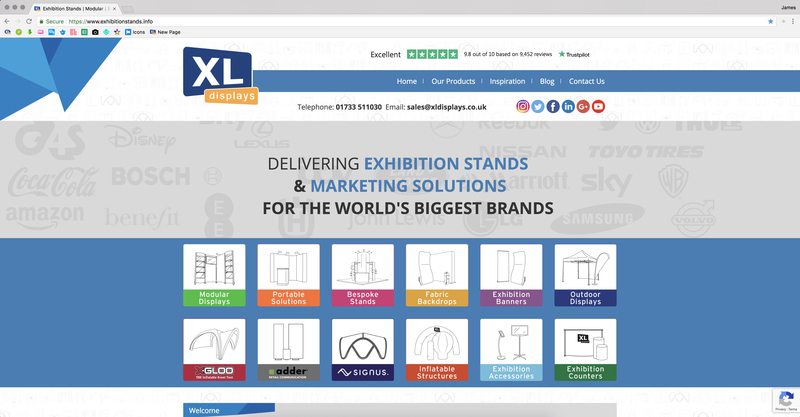 XL Displays are proud to announce that our brand new exhibition stand information website is now live! We have developed the new website to serve as a sleek information hub that details all of the features and benefits of our exhibition display products, with the intention of helping our customers make a more informed buying decision. The new site features everything you need to know about all of our exhibition stand solutions, including our core products, such as pop up exhibition stands, exhibition roller banners, fabric exhibition stands, inflatable structures – including our bestselling X GLOO inflatable event tents - and bespoke exhibition stands, as well as our premium Adder retail displays retail and events communications range. 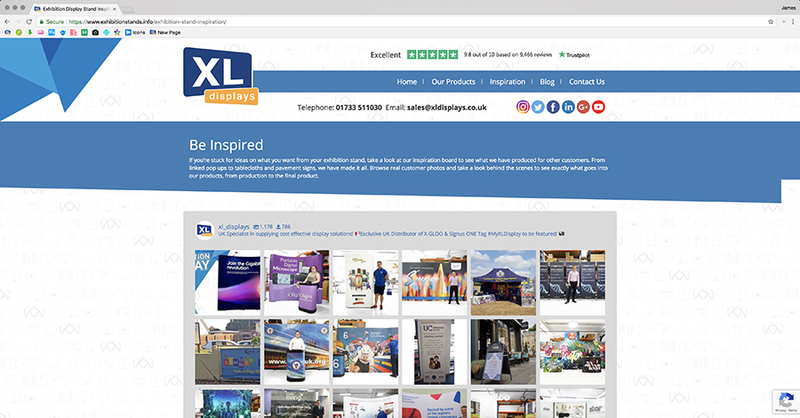 When you find a product you like, you can simply click the link at the bottom of the page and you will be directed through to the product page on XL Displays. Here, you can configure your purchase and it add to your cart. It couldn’t be simpler! We are extremely proud of our innovative new exhibition stand inspiration gallery. This page allows customers to see our products in production, as well as photos that existing customers have sent us of their products in use. This gives prospective clients the chance to see brands we have worked with and what our products look like in real life, as well as inspiration for those who are struggling to conceptualise a design of their own. The comprehensive gallery is updated daily with new behind-the-scenes images and customer photos, meaning you will find an endless supply of our products as and when they are being made and used by our ever growing customer base. The exhibition stand site is all about informing and educating customers on our products. 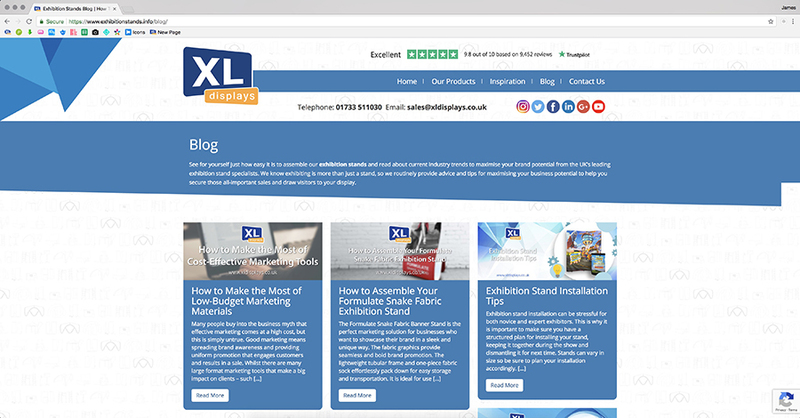 We regularly update our exhibition display blog page with how-to videos, demonstrating just how easy and fast our exhibition solutions are to assemble. The step-by-step videos are easy to follow and are useful guides for when clients need to assemble their own products. You can access all of these great features on any device. We have developed our new website to be responsive, meaning the content automatically resizes to fit any screen without loss of quality – whether it’s a computer, a tablet, a laptop or a smartphone. This enhances the user experience and makes the site easier to navigate, making for faster browsing and easier reading. To find out more about our new exhibition stand information site and to see our vast range of exhibition stand products, don’t hesitate to get in touch or call us on 01733 511030.